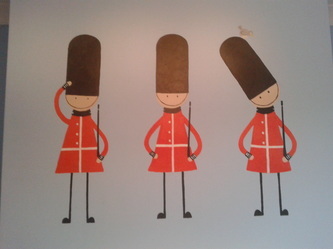 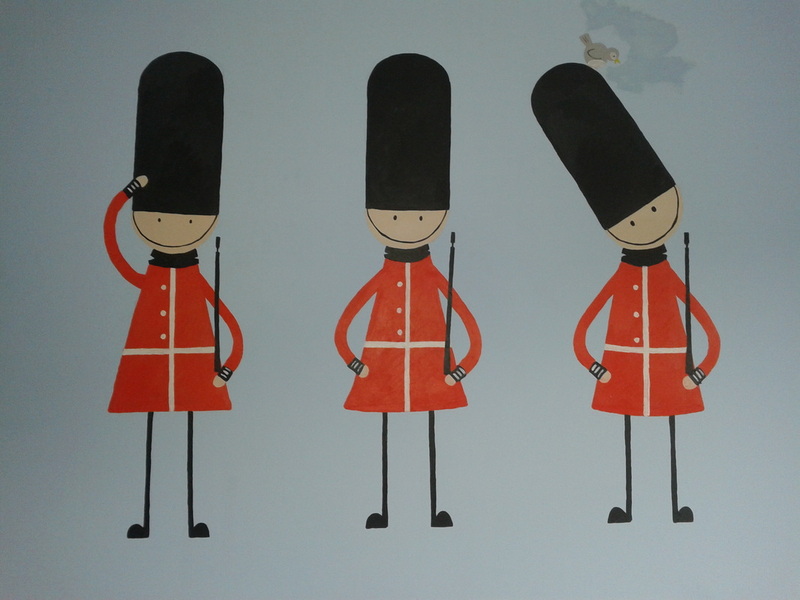 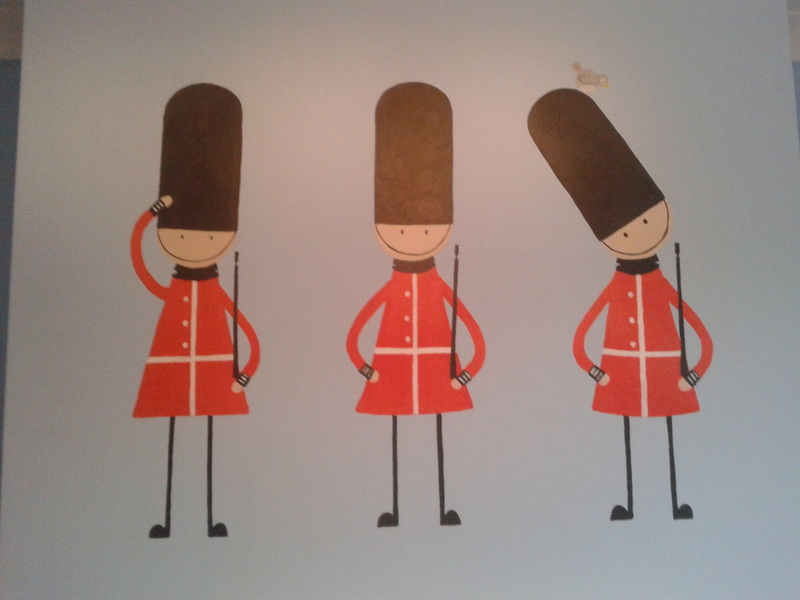 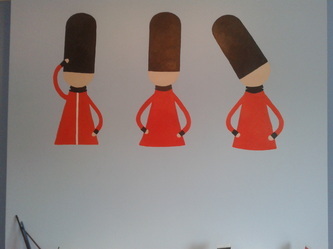 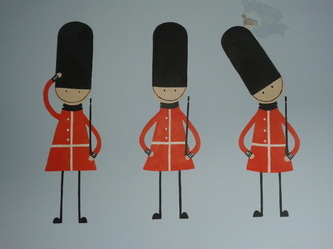 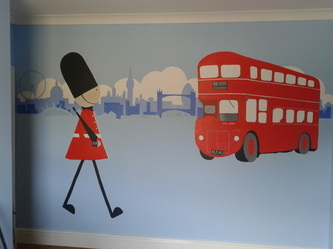 This London Scene Nursery Mural with traditional toy soldiers took just shy of two days to complete. 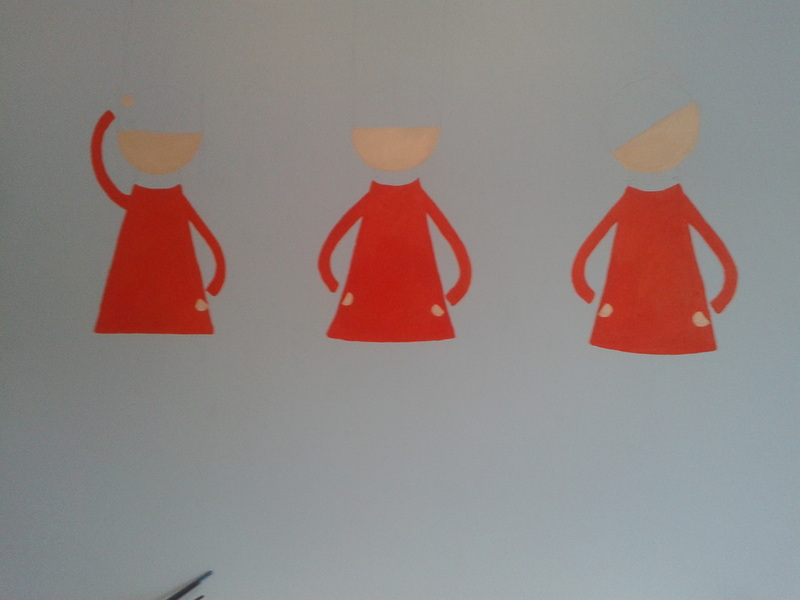 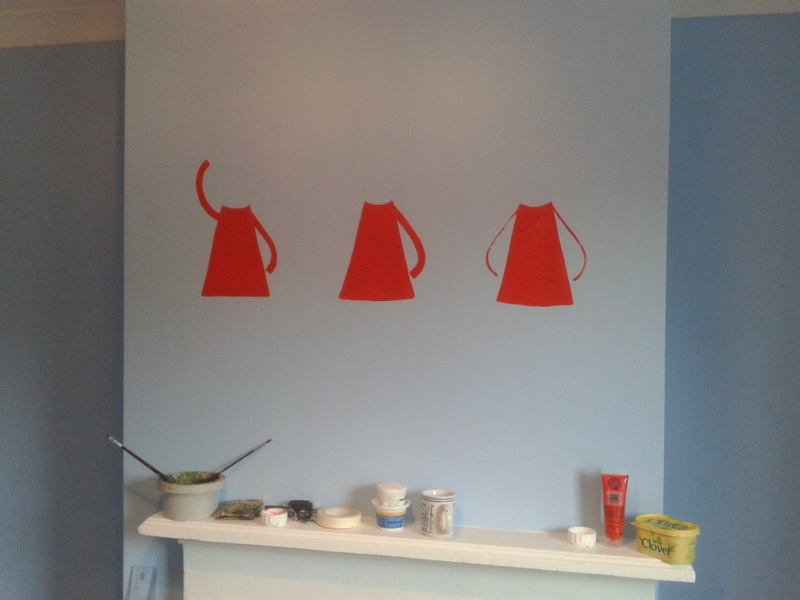 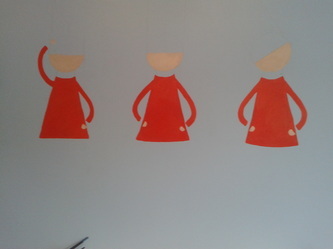 Below in the Gallery you can see how this Nursery Mural came to life from preliminary sketches through to the end the result. 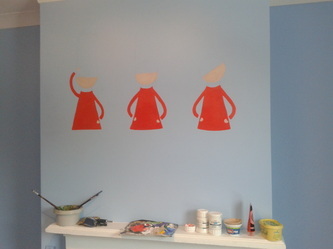 The brief was given as the couple were expecting a baby and looking for something different. 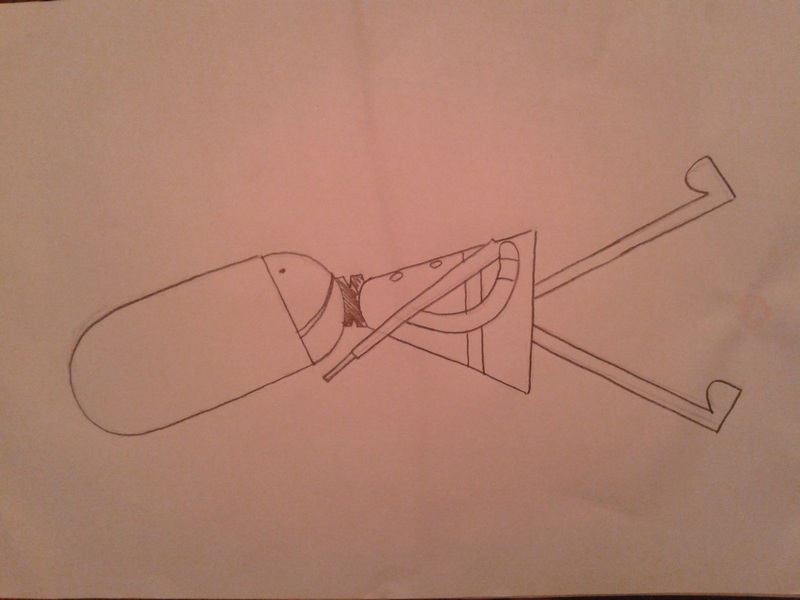 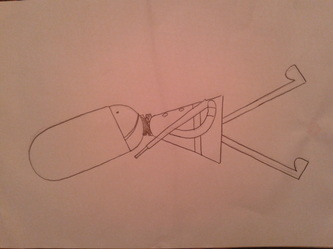 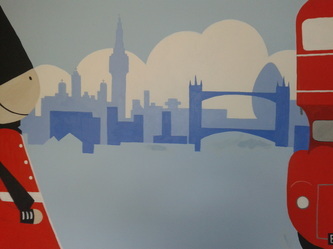 They have a love for London (as you can imagine), and had good idea of what it was that they were after. The challenging part of this was to provide them with something that wasn't "in your face" which would have been easy given the large amounts of red - however I didn't want to make the red look pink (I don't think pink soldiers would have been great!). 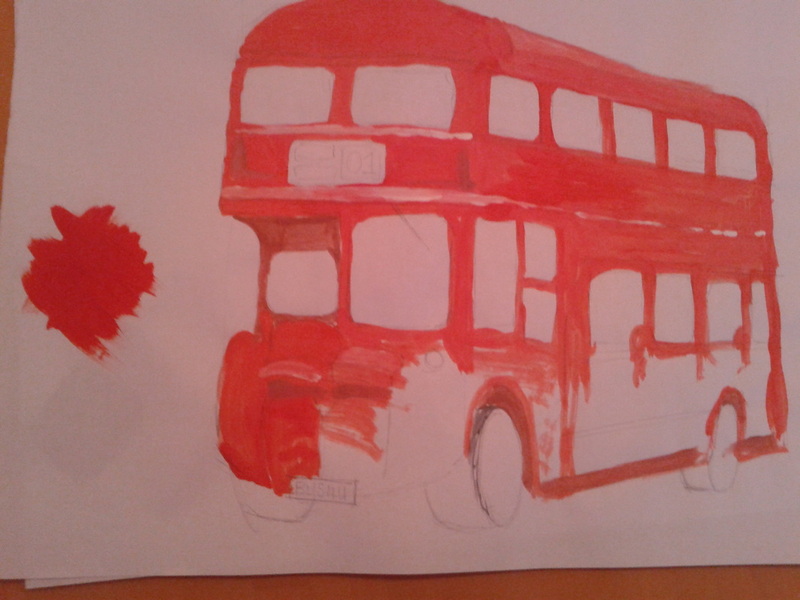 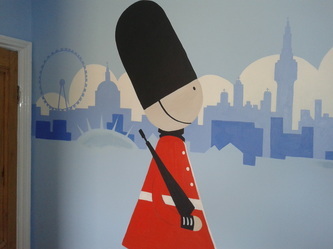 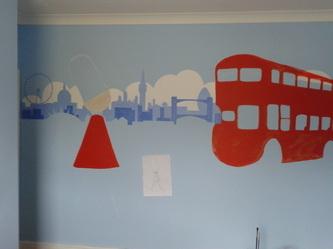 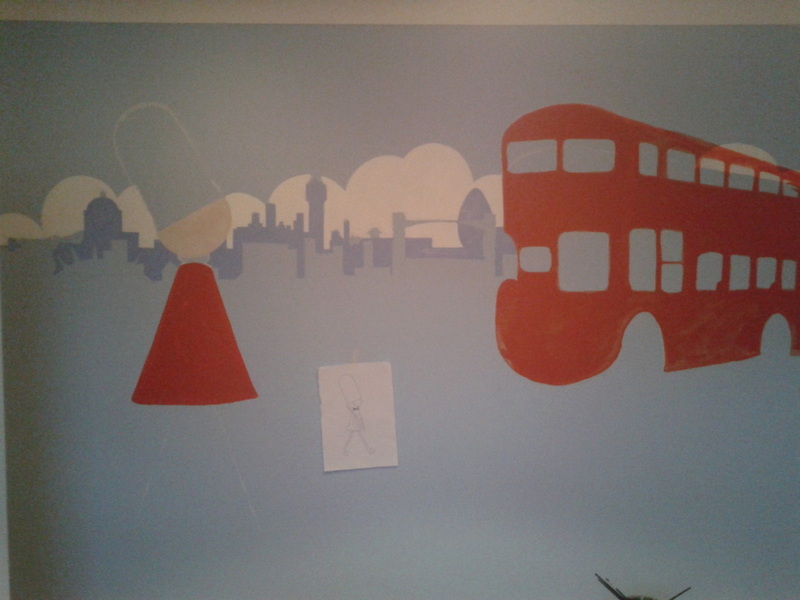 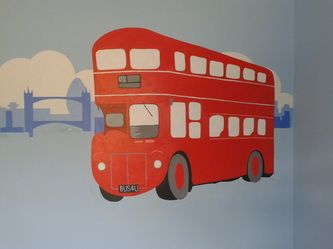 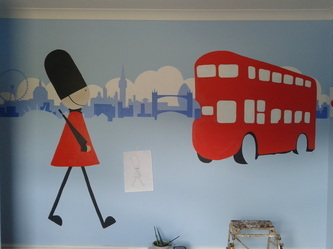 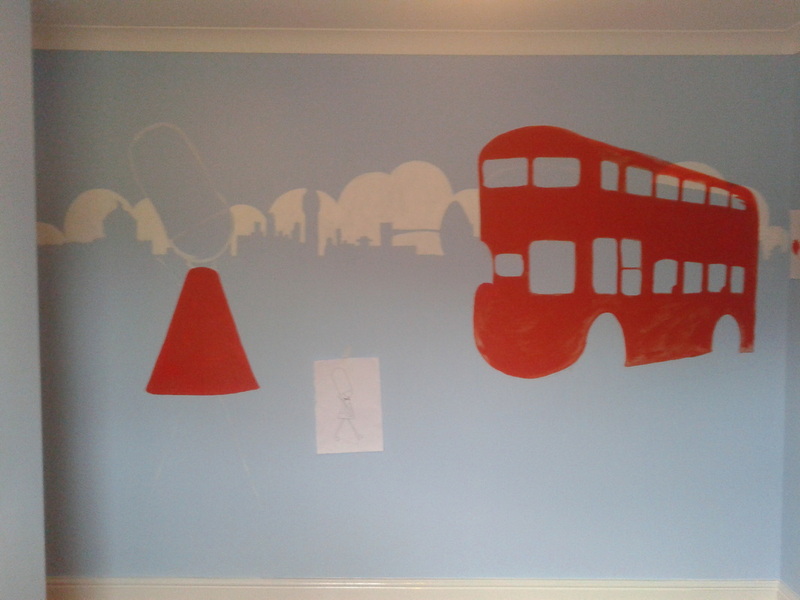 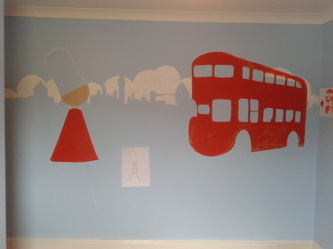 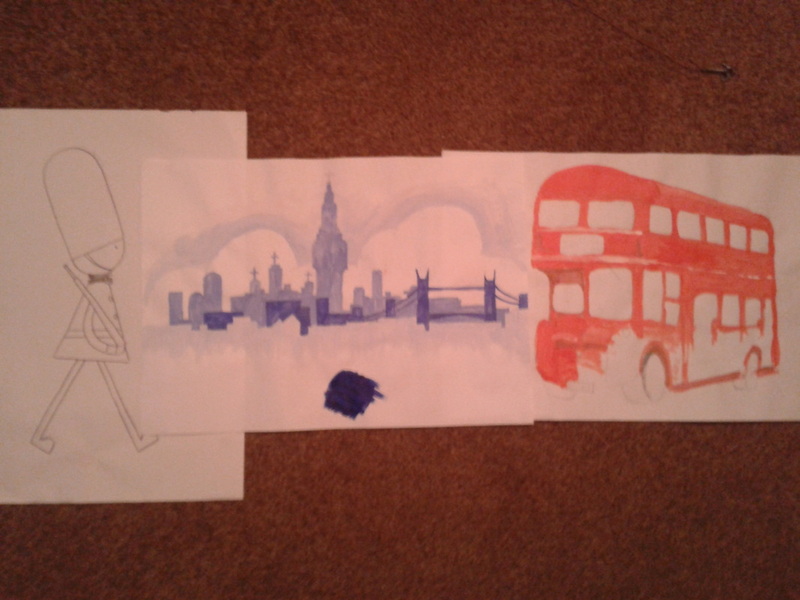 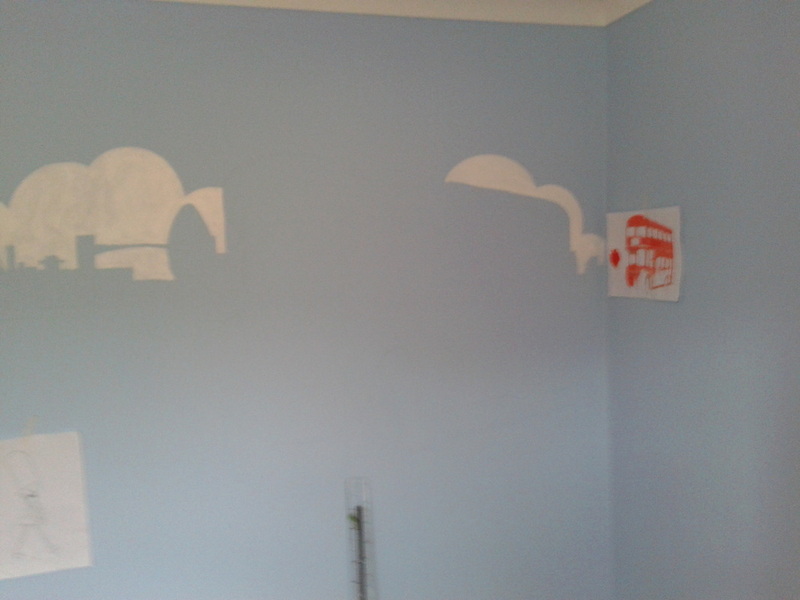 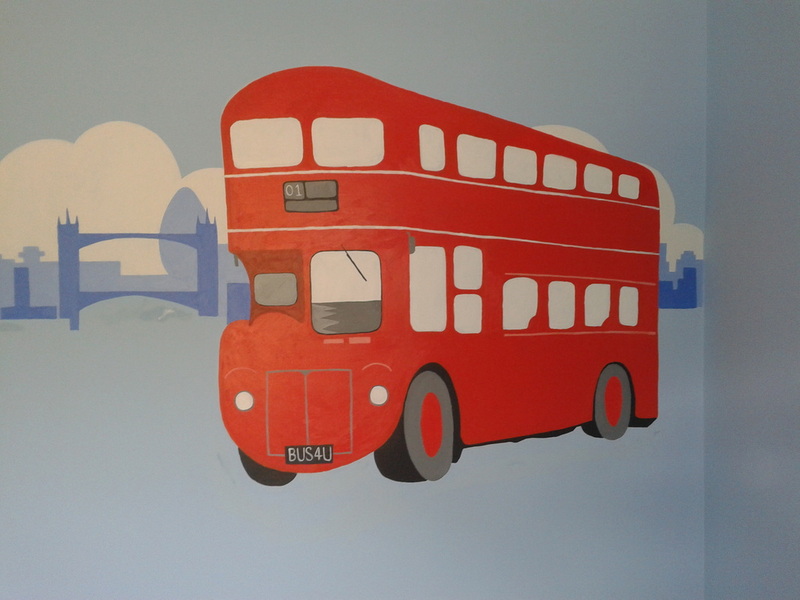 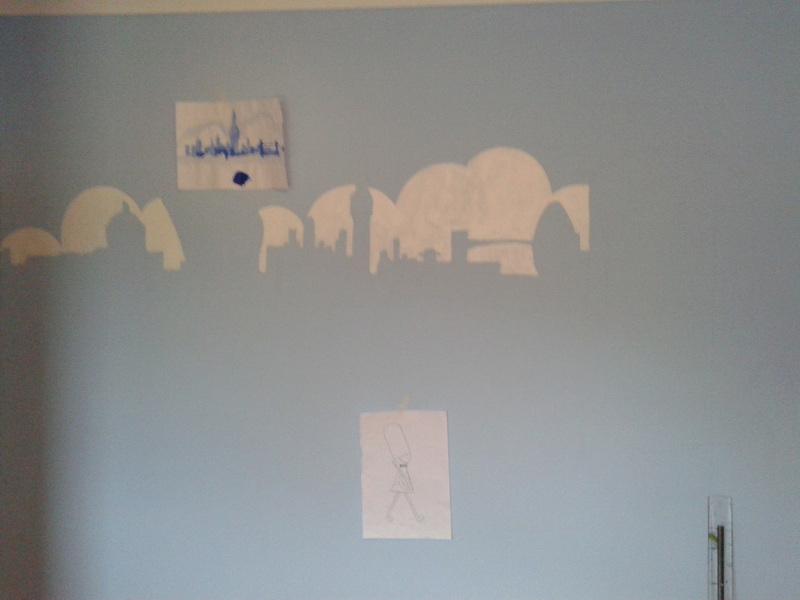 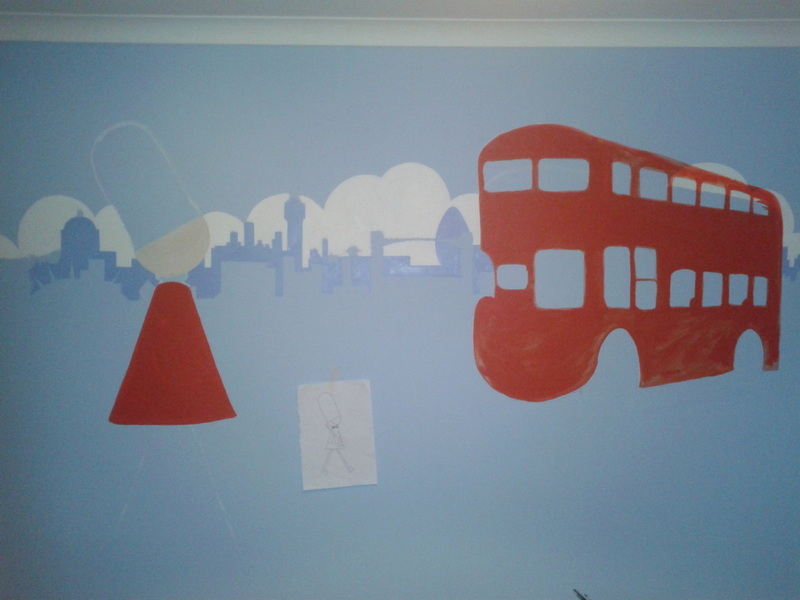 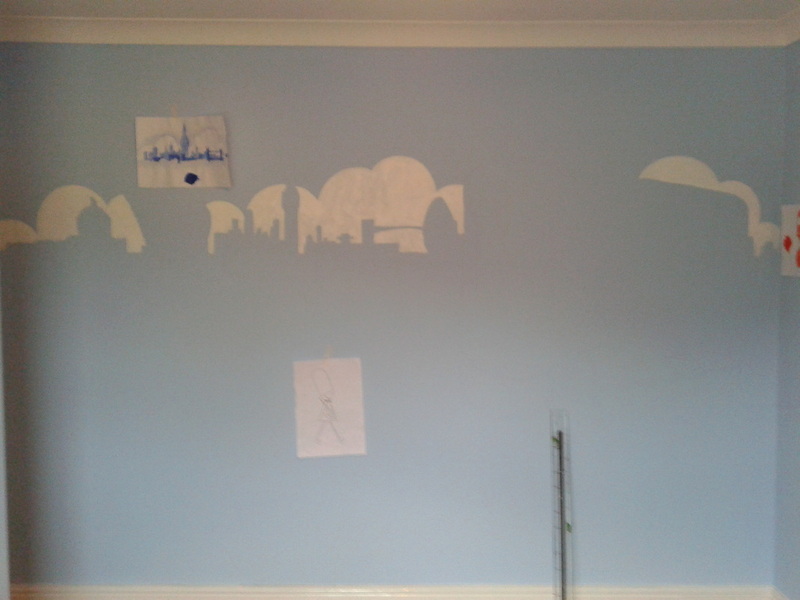 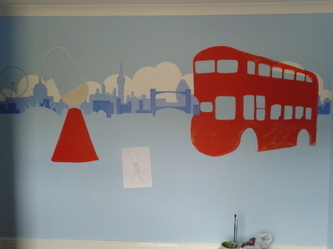 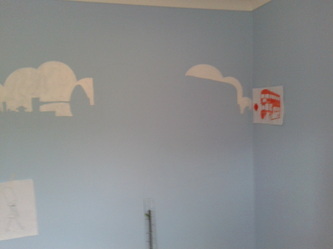 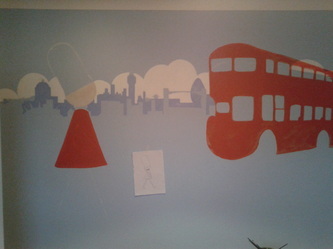 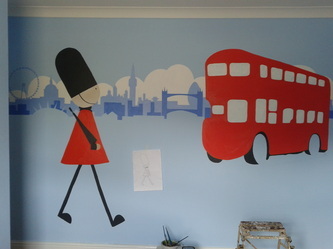 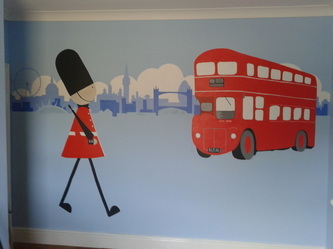 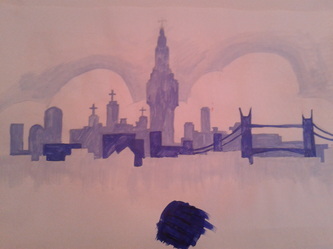 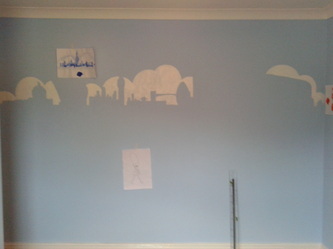 This Nursery Mural not only entails soldiers and a London Bus but also a subtle London skyline. 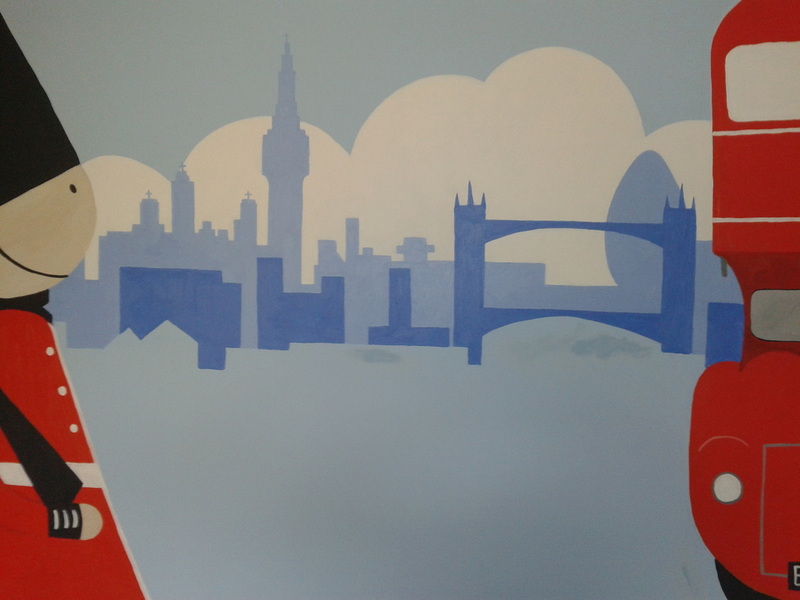 The London skyline needed to blend in with the duck egg blue walls and we used white clouds to help the colours stand out (but not too much) against the blue background.